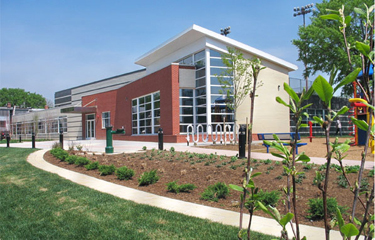 Please join us on September 25th at the new Union Market! 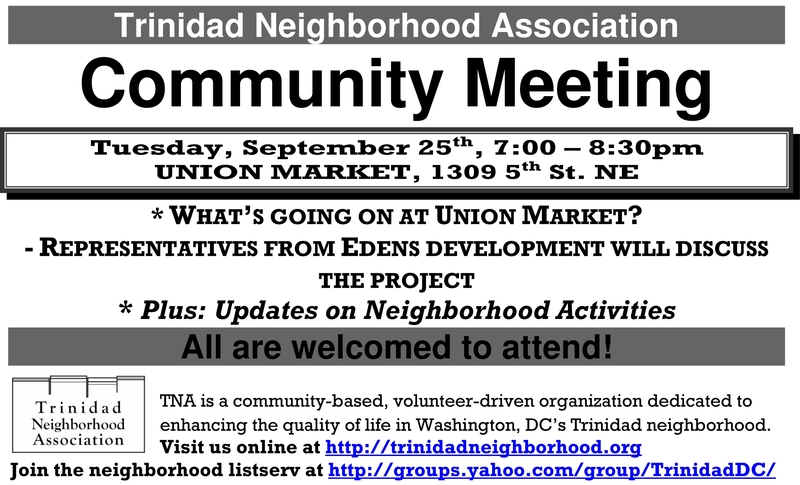 This month we’ll take a short trip outside Trinidad to learn more about our new neighbor, Union Market. 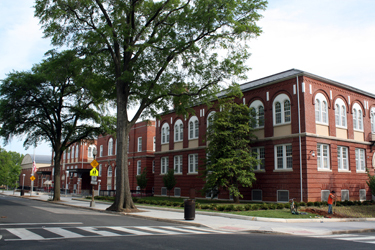 We’ll also have updates on various projects throughout the neighborhood, including the DC Community Heritage Project, the fall Flower Power fundraiser, Friends of Trinidad Recreation Center, and the weekly Friends of Joe Cole park clean ups. We’d also like to talk more about getting you involved with the neighborhood association, and we’d love to hear your community announcements! For the past 4 years, local business Jimmy Valentine’s Lonely Hearts Club has raised funds to support Webb-Wheatley’s after school programs. The after school programming serves over 200 students, grades K through 6, and is run by Catrice Simpson. The funds raised make it possible to engage our youth in positive and productive activities and projects, like a play adaptation of The Wizard of Oz, a Halloween party with MPD, the creation of a yearbook by and for the students, kites for “high-flying kite day,” fashion and talent shows with prizes, field trips, and a host of other art and craft supplies that create teaching and learning opportunities for the kids in Ms. Simpson’s program. This year’s fundraiser is scheduled for Thursday, September 20, 6:00-9:00 pm at Jimmy Valentine’s Lonely Hearts Club, 1103 Bladensburg Rd. NE. Jimmy V’s will offer 3 free drink tickets to each person donating $20 or more.